With Aversafe’s secure issuer’s portal you can design, sign, issue, verify or even revoke your digital certificates with the click of a button. 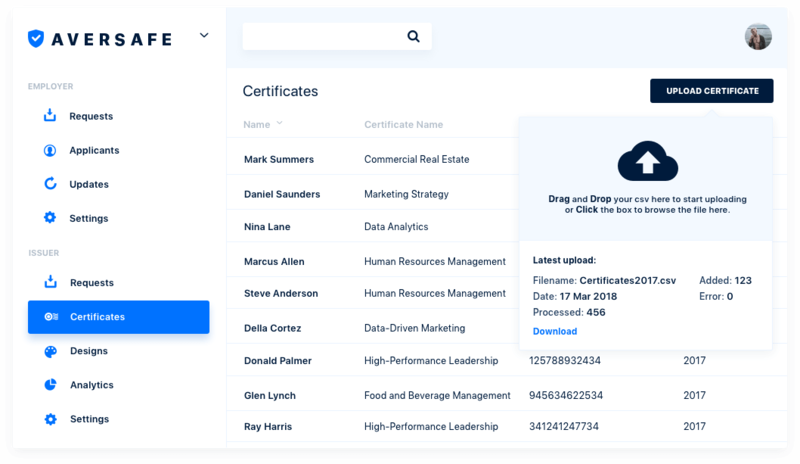 Aversafe’s digital certificates can be verified at a glance by employers around the globe, improving graduates’ educational and career prospects abroad while easing cross-border issuance and verification. Aversafe’s digital certificates only need to be issued once, dramatically reducing the time and effort involved in re-verifying historic degrees. 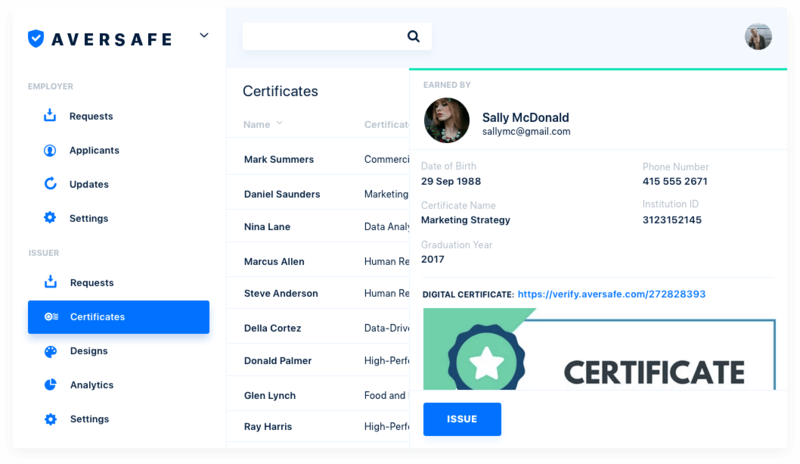 Aversafe’s blockchain-backed digital certificates are fully auditable, immutable and trusted. Blockchain backed verifications preserve the value of your certificates while safeguarding your institutional reputation from imposters. 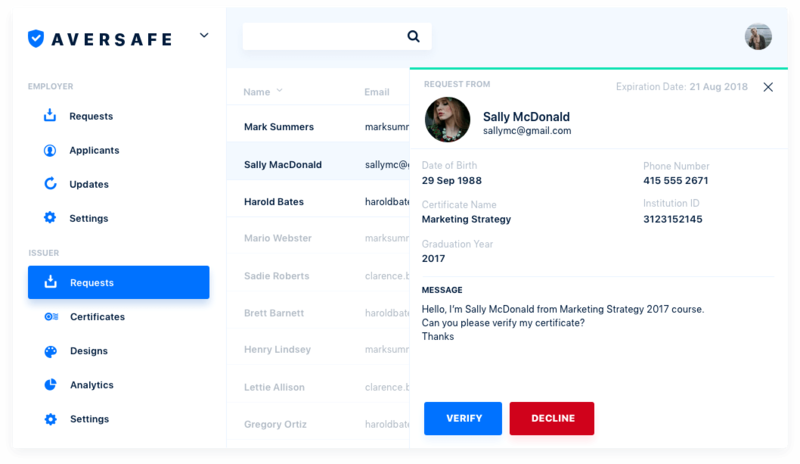 Aversafe lets you design, sign, issue, verify or even revoke your digital certificates with the click of a button. 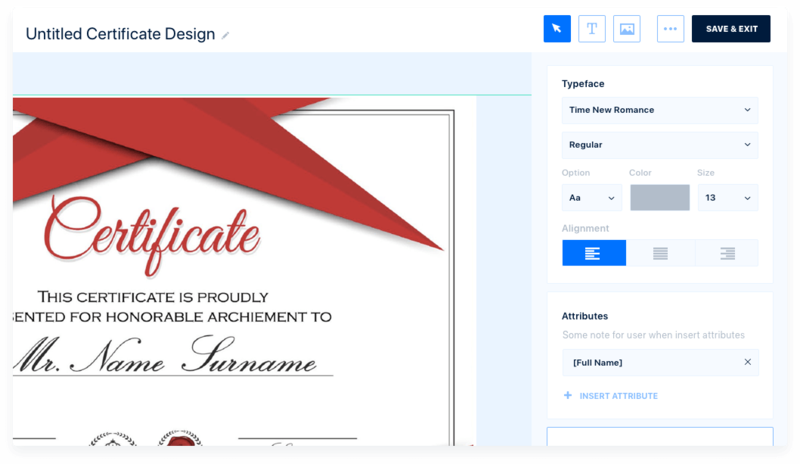 Aversafe’s user-friendly design tool lets you customize your digital certificates while combatting credential fraud, cutting costs, and empowering graduates. 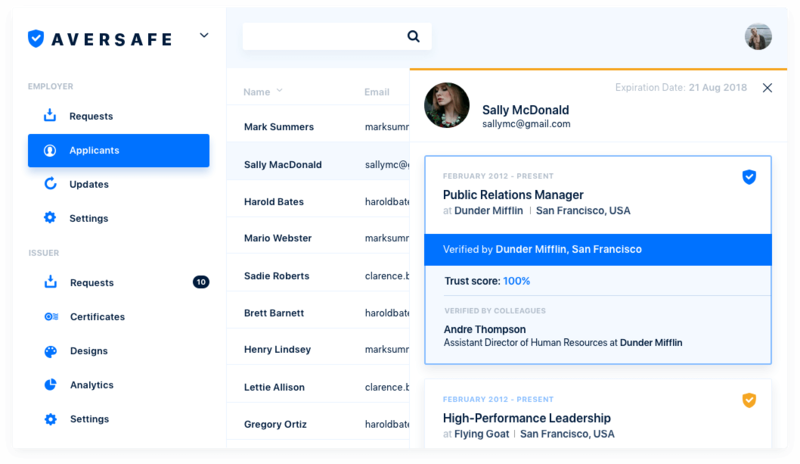 White-labelled Employment and Verification Directories promote your brand while showcasing your graduates’ skills and experience to employers, providing them with an invaluable leg-up in the international job market.